The lead Plaintiff was an investigative reporter who sued Eric Holder, acting as the Attorney General of the United States. In the case, the Plaintiffs claimed that the Department of Justice and the U.S. Postal Service violated their constitutional rights by conducting unauthorized electronic surveillance of plaintiffs’ home and electronic devices. The case is Sheryl Thompson Attkinsson v. Eric Himpton Holder. According to the case documents, Attkisson, who had been a reporter with CBS for twenty years, began investigating a story about the ATF allowing firearms dealers to sell weapons to straw purchasers to enable the ATF to track the firearms back to higher-up figures in Mexican drug cartels. This was also known as the Fast and Furious operation and resulted in a story aired by CBS. While Attkisson continued her investigation after a Border Patrol agent was allegedly killed using the weapons that the DOJ sold, things seem to get strange at her home. Her Verizon FIOS router started acting up and after several attempts, Verizon was unable to fix the problem. Eventually, Atkisson suspected that an illegal surveillance program targeting the reporters was responsible for the technical issues. The “Fast and Furious” lawsuit was filed. The Complaint contains interesting allegations, privacy law concerns, and even some conclusory allegations and conspiracy theories. According to Infosecly.com, a forensic examination of the allegedly compromised devices was conducted, and some interesting digital evidence was discovered. The case was ultimately dismissed. Some counts of the Complaint included violations of plaintiffs’ First and Fourth Amendment rights, violations of the Electronic Communications Privacy Act (“ECPA”), violations of the Stored Communications Act (“SCA”), violations of the Computer Fraud and Abuse Act (“CFAA”), violations of the Foreign Intelligence Surveillance Act (“FISA”), violations of the Virginia Computer Crimes Act (“VCCA”), and common law trespass to land and chattel. The ECPA count was dismissed based on the language of the statute. The statute provides that a plaintiff may recover from “the person” who engaged in the violation, not from a person or from any person, and the use of the word “the” contemplates only a single person or entity engaged in a given violation. If so, then the violator being referred to must be the person who engaged in the actual interception, disclosure, or use of a communication. It seemed unlikely that Eric Holder was personally spying on the plaintiff. The Court held that he 1986 amendments restricted liability in a private action only to those who personally intercept, disclose, or use communications in violation of the ECPA. The ECPA claim was dismissed. 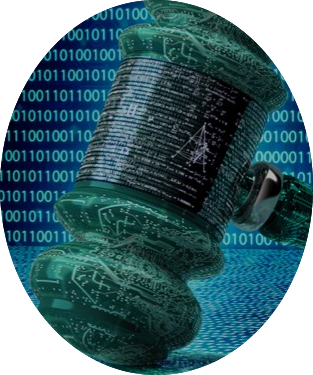 The Stored Communications Act Claim was dismissed because plaintiffs did not appropriately allege that defendants accessed a “facility through which an electronic communication service is provided.” Bad pleading, case dismissed. Similarly, the Computer Fraud and Abuse Act claim was dismissed because the Complaint failed to allege sufficient facts to make a plausible claim that either defendant personally engaged in the alleged surveillance. The Plaintiffs plead this all wrong and the Defendants were on a roll. Note to attorneys: Make sure that you properly plea the f**** elements of your cause of action! Finally, the Virginia State claims under the Virginia Computer Crimes Act were also dismissed. The Defendants were acting in their capacity as agents of the United States of America. Therefore, As such, plaintiffs were required to sue the United States of America, not Holder and Donahoe in their individual capacities. Was the DOJ under Eric Holder’s direction conducting Unconstitutional surveillance of a reporter? We will never know. A combination of a very light pre-litigation preparation, a conspiracy theory, and poorly plead legal claims undid this case. We will probably never know what really happened in the fast and furious surveillance case, and that is unfortunate.